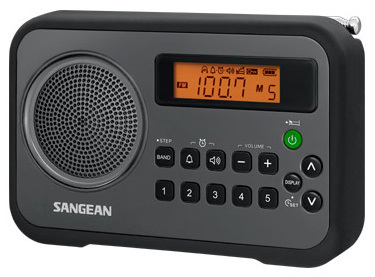 The new Sangean PR-D19 a rugged AM, FM, FM stereo portable receiver with true dual stereo speakers. The digital display may be backlit on demand. The rubber bumpers provide extra protection for travelling. Features include 5 AM and 5 FM memories, auto station seek, 12/24 hour clock, sleep timer (15/30/45/60/120 mins. ), HWS humane wake up system, battery indicator, stereo earphone (3.5mm) earphone jack, auxiliary input jack (3.5mm) and lock button. 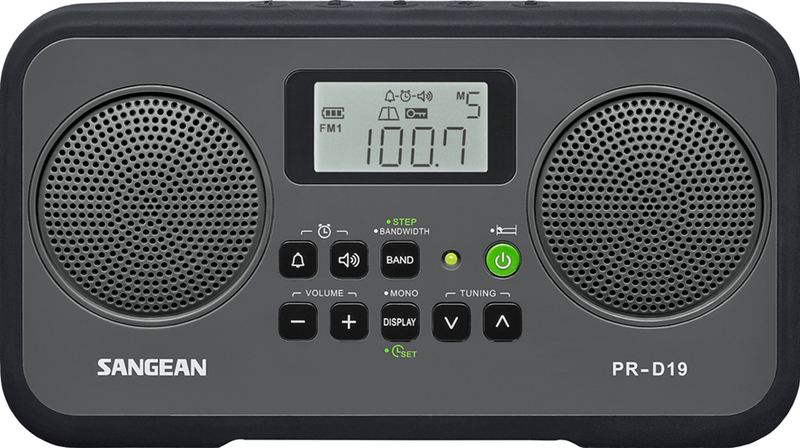 The radio controls are easy to operate. Operation is from four AA cells (not provided) or optional ADP-PRD19 AC adapter. 7.75 x 4.25 x 1.75" 1.1 lbs.